The school puts on its own show involving all of the pupils every other year. To give our students added opportunities through-out the year we perform in musicals, pantomimes, galas and showcases. The excitement and adrenalin rush that comes from being on stage is one that, once experienced, is never forgotten. Dance is a performance art and we aim to give our students this opportunity as often as possible. 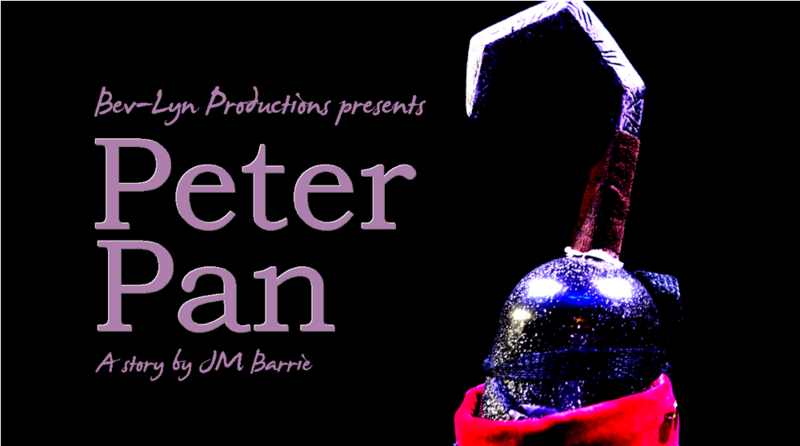 Our most recent show was a danced re-telling of JM Barrie’s classic tale “Peter Pan” at the Regal Theatre Redruth Sunday 30th April and Monday 1st May 2017. We first performed it almost 30 years ago, with a script specially-written for us. This completely updated show was watched by almost 2,000 people. Over 200 performers, 1000 costumes and countless helpers backstage and offstage made this a major undertaking. For some of our dancers this was a first time on stage. Hopefully the first of many! Another big performance was our own dance showcase “The Big 5-oh! Show!” with over 250 performers celebrating our Golden anniversary in 2014. In 2015 we staged our unique Nativity “Dancing to Bethlehem”, which was a complete sell-out and moved many people to tears – it has become a rite-of-passage for our students. The next production of that show will be around 2018. We also provide three troupes of dancers for the annual Redruth pantomime at The Regal Theatre – “Aladdin” in January 2017. Auditions for “Cinderella”, the next panto, will be in September. Our ever-popular week-long summer school is always a highlight of our year. It is an opportunity to go beyond exams and take in other performance skills such a s singing and acting. We bring in top guest teachers to create a show in a week. This year’s theme is “Animal Magic” and we will be exploring shows featuring creatures, including Cats, Lion King, Madagascar and Swan Lake. As ever the week will include contemporary dance, street jazz, ballet repertoire, gymnastics, musical theatre and drama. To give our students as broad an experience as possible in dancing, singing and acting we hold workshops with the top professionals in the business. Past workshops have included, Rambert, English National Ballet, and West End Dancers from CATS, Grease and Fame to name a few. Many of our students have successfully auditioned for full-time dance colleges and are now working as dancers and teachers around the world. We help students to prepare for auditions and advise each individual on their chosen career. We are often invited to perform all over the county. This year we are performing in the likes of Kids for Cornwall charity gala at the Hall for Cornwall and the Remembrance Sunday commemoration at The Regal Theatre in Redruth. To broaden our students understanding and inspire them we arrange trips to professional performances at the Hall for Cornwall and Plymouth Theatre Royal to see ballet, musicals and contemporary companies.